Traveling with little ones is tough. A lot tougher than I thought. The crying, screaming, mess and spills. It can be a little much to handle. 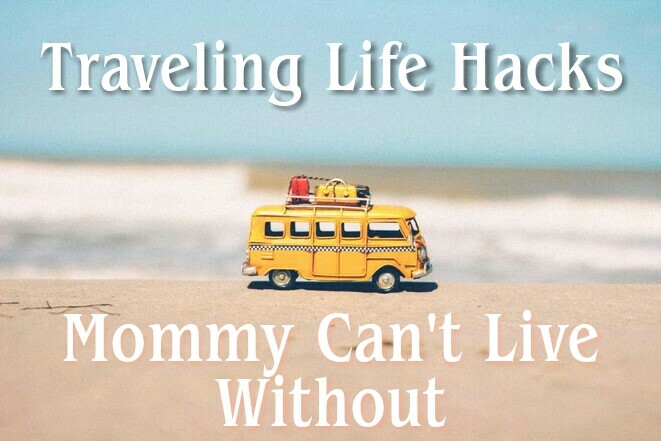 Especially for me since I am a single mommy who seems to be traveling more and more often. I was quite the traveler before going on the ultimate journey of motherhood. I was so excited for my little bundle of joy to arrive and be my new travel companion. One thing I didn't think of would be the added stress from traveling with a baby and now a toddler. Here are some of my favorite travel hacks to make those magical memory filled family trips a tid bit easier. Whether you are driving, flying, or cruising it is always a good idea to separate your cash from your cards. For example, when I drive I always remove my cards from my wallet and place in my center console. This way if I am mugged, lose my purse or diaper bag, my car is stolen... I am left with either cash or my cards. Milo was breastfed for his first 8 months and on formula until 1 year. So regardless if you are a nursing or formula feeding mommy you will need hot water when traveling with a baby. Filling stations and truck stops have hot water spouts on the coffee machines that release water at 140 degrees. You can use this to either thaw frozen breast milk or use an ounce or two to warm up water for a bottle of formula. Unscrew the caps of your toiletries and place a small square of saran warp over the opening. Then recap and there you have it. No more spills or shampoo explosions. Freezing your juice boxes not only will keep your juice colder longer but will also keep other foods and drinks in your cooler cold. Also, Try getting a Nuby Juice Box Holder if your little one likes straws. This way they can hold the travel juice themselves. Toss a dryer sheet in your luggage to keep clothes smelling and feeling fresh. No more musty travel odors. This is perfect for messy babies and toddlers. Plan out their outfits (tops, bottoms, bibs, socks, hats etc.) and place into a baggy. This way everything stays together for easy access and you have a bag to seal away wet messy clothes. Y'all mamas know it's bound to happen. Have wet, muddy, or sandy shoes? Slip shoes into a shower cap to contain that mess. Sandy feet? Use baby powder to remove any sand trying to escape the beach. For toddlers and children who like to wander. Write your phone number on their arm and cover with liquid skin. This will keep the marker on longer as the liquid skin is waterproof. This is great for long drives, flights or train rides. Place phone or tablet in a Ziploc baggy and hang from the tray on the back of the seat in front you. Watch downloaded shows or movies hands free! Glad you liked them! When you try them out let me know what yo think. What a useful post! Thanks! thanks for sharing,life is not easy, live at this moment,relax urself, more useful information and fun activity on Liverpool body rubs, u can find what u want，u will see ur sunshine again.